DEET, showers, and tick checks can stop ticks. Reduce your chances of getting a tickborne disease by using repellents, checking for ticks, and showering after being outdoors. 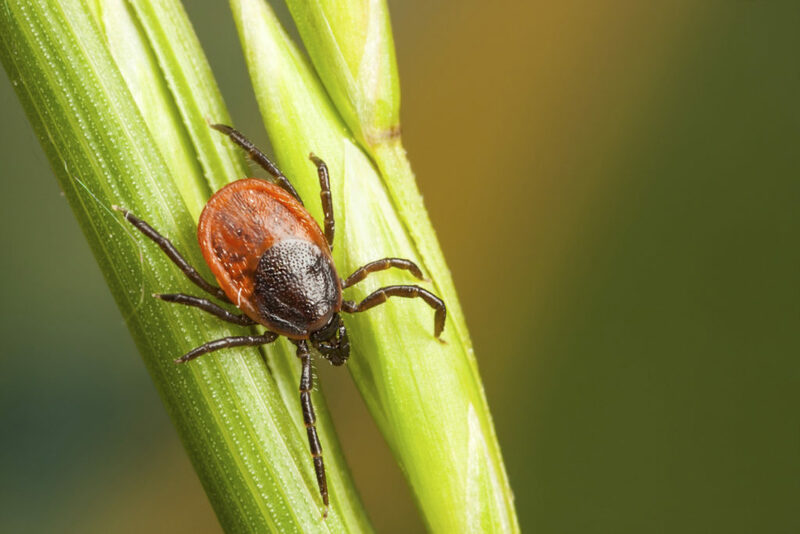 If you have a tick bite followed by a fever or rash, seek medical attention. Gardening, camping, hiking, and playing outdoors – when enjoying these activities, don’t forget to take steps to prevent bites from ticks that share the outdoors. Ticks can infect humans with bacteria, viruses, and parasites that can cause serious illness. See the Ticks site for more information about American dog tick. Other diseases that you can get from a tick in the United States include Colorado tick fever and Powassan virus. Know where to expect ticks. Ticks live in moist and humid environments, particularly in or near wooded or grassy areas. You may come into contact with ticks during outdoor activities around your home or when walking through leaf litter or near shrubs. Always walk in the center of trails in order to avoid contact with ticks. Products containing permethrin kill ticks. Permethrin can be used to treat boots, clothing and camping gear and remain protective through several washings. Use a repellent with DEET on skin. Repellents containing 20% or more DEET (N, N-diethyl-m-toluamide) can protect up to several hours. Always follow product instructions. Parents should apply this product to their children, avoiding the hands, eyes, and mouth. For detailed information about using DEET on children, see recommendations from the American Academy of Pediatrics. For detailed information about tick prevention and control, see Avoiding Ticks. Detailed information for outdoor workers can be found at NIOSH Safety and Health Topic: Tick-borne Diseases. Remove the attached tick as soon as you notice it by grasping with tweezers, as close to the skin as possible, and pulling it straight out. For detailed information about tick removal, see the tick removal page. Watch for signs of illness such as rash or fever in the days and weeks following the bite, and see a health care provider if these develop. Your risk of acquiring a tick-borne illness depends on many factors, including where you live, what type of tick bit you, and how long the tick was attached. If you become ill after a tick bite, see a health care provider. Modify your landscape to create Tick-Safe Zones[6.82 MB]. Regularly remove leaf litter and clear tall grasses and brush around homes, and place wood chips or gravel between lawns and wooded areas to keep ticks away from recreational areas, and keep play areas and playground equipment away from away from shrubs, bushes, and other vegetation. Consider using a chemical control agent. Effective tick control chemicals are available for use by the homeowner, or they can be applied by a professional pest control expert, and even limited applications can greatly reduce the number of ticks. A single springtime application of acaricide can reduce the population of ticks that cause Lyme disease by 68–100%. Discourage deer. Removing plants that attract deer and constructing physical barriers may help discourage deer from entering your yard and bringing ticks with them. Use tick control products to prevent family pets from bringing ticks into the home. Tick collars, sprays, shampoos, or “top spot” medications should be used regularly to protect your animals and your family from ticks. Consult your veterinarian and be sure to use these products according to the package instructions. For more information on animals and health, see Preventing Ticks on Your Pet. You can log onto CDC for additional information.